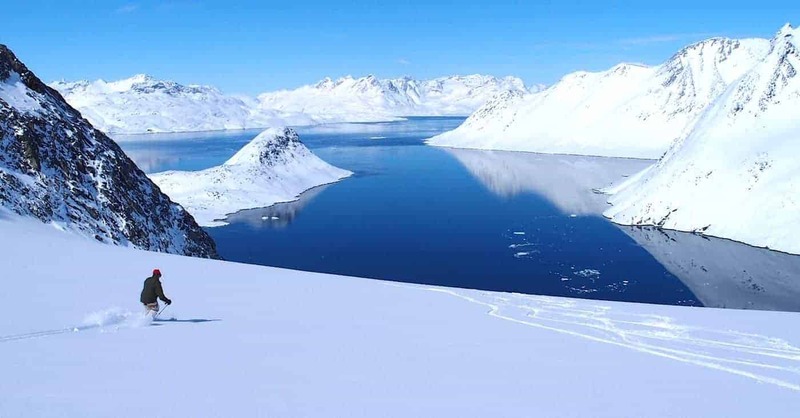 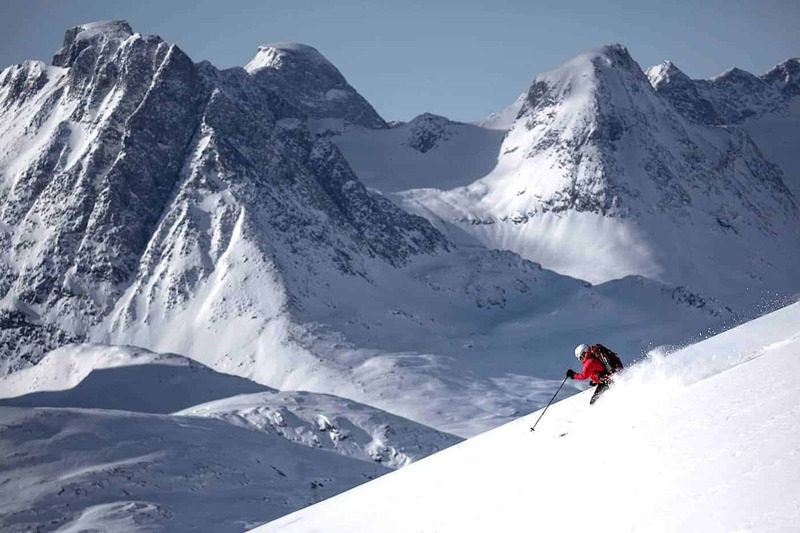 Greenland Ski Touring is an experience like no other. 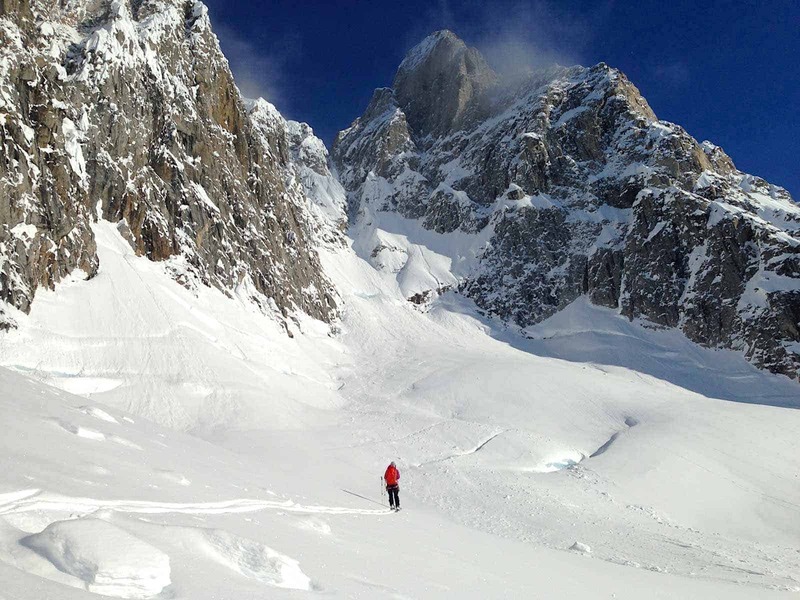 Here, you won’t run into line ups, you won’t even cross another groups ski track during the whole Ski Touring Expedition. 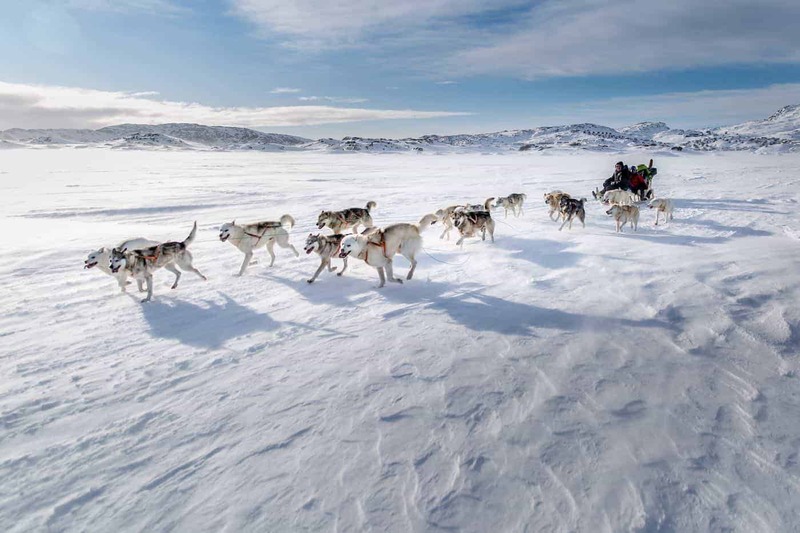 You won’t hear any other sound except your own groups whoops and hollers. 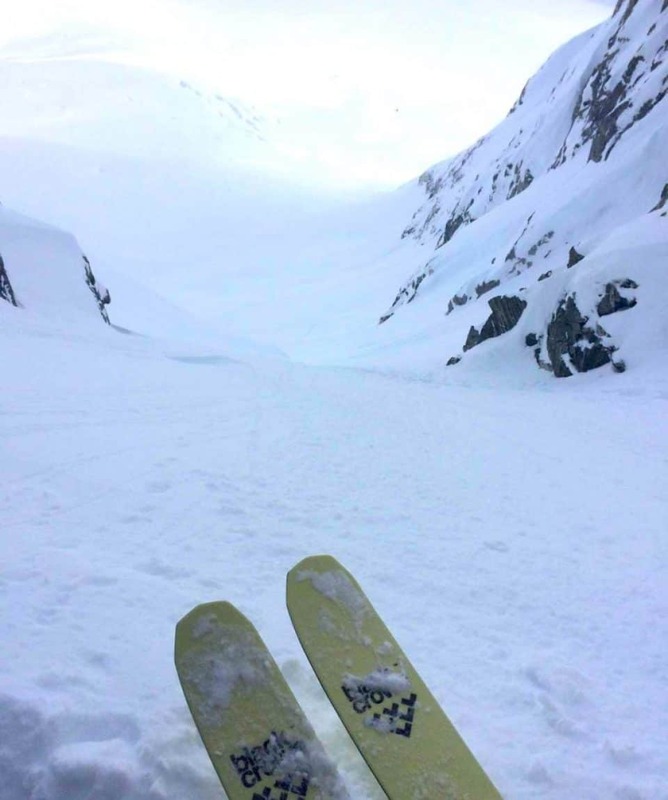 All tracks are fresh, all experiences are genuine, and there are empty peaks for miles around. 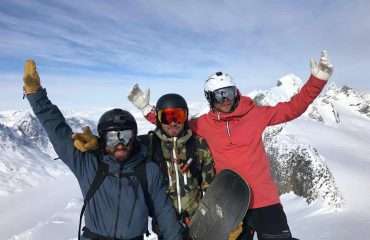 2020 Dates yet to be confirmed. 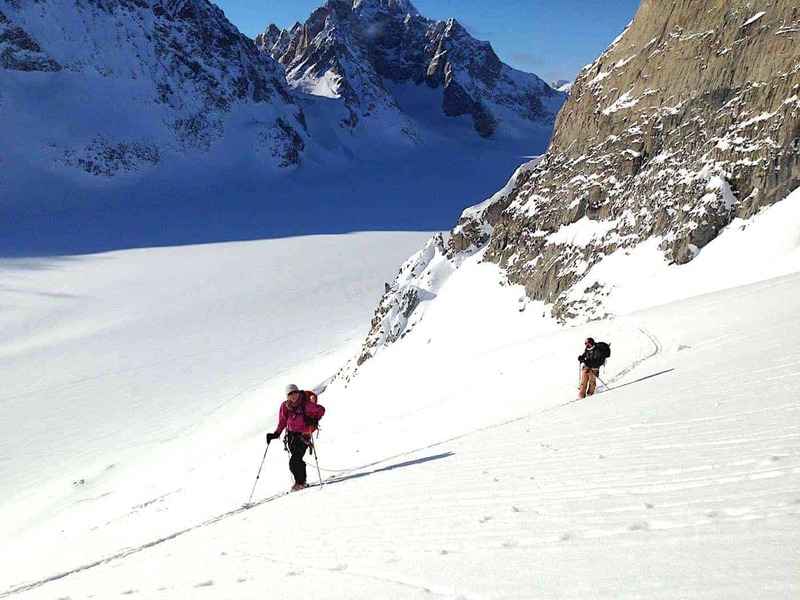 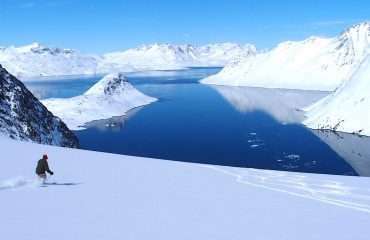 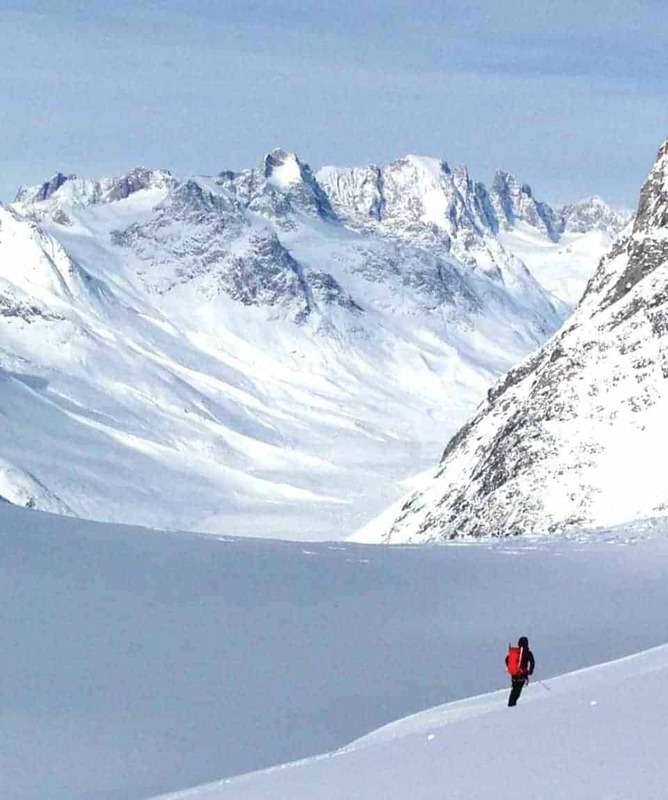 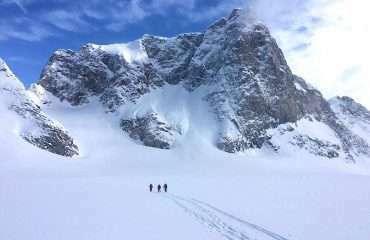 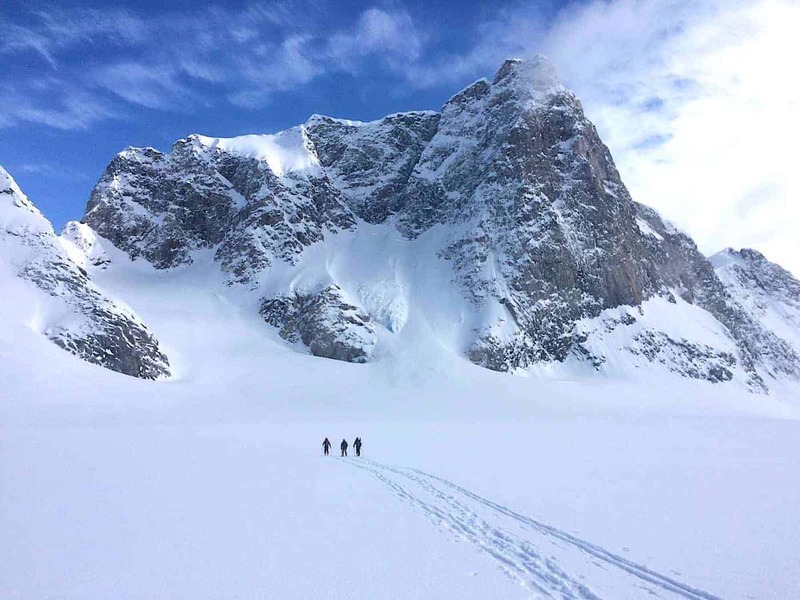 All about the Greenland Ski Touring, Ski Touring Expedition 8 Days, Greenland. 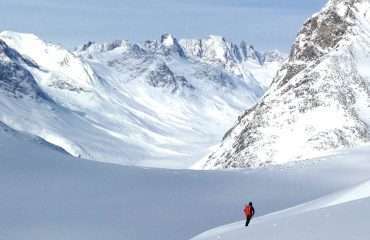 Greenland Ski Touring is an experience like no other. 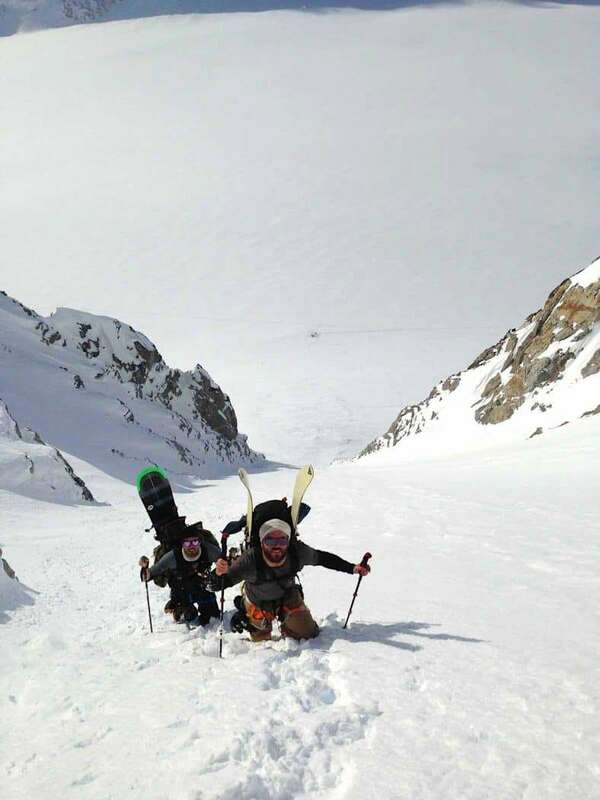 Here, you won’t run into lineups, you won’t even cross another group’s ski track during the whole trip. 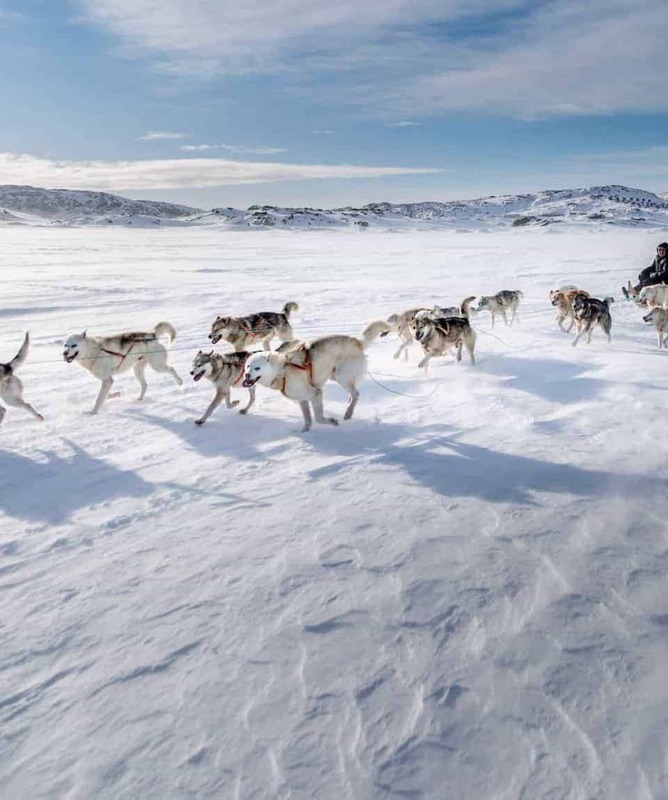 You won’t hear any other sound except your own groups whoops and hollers. 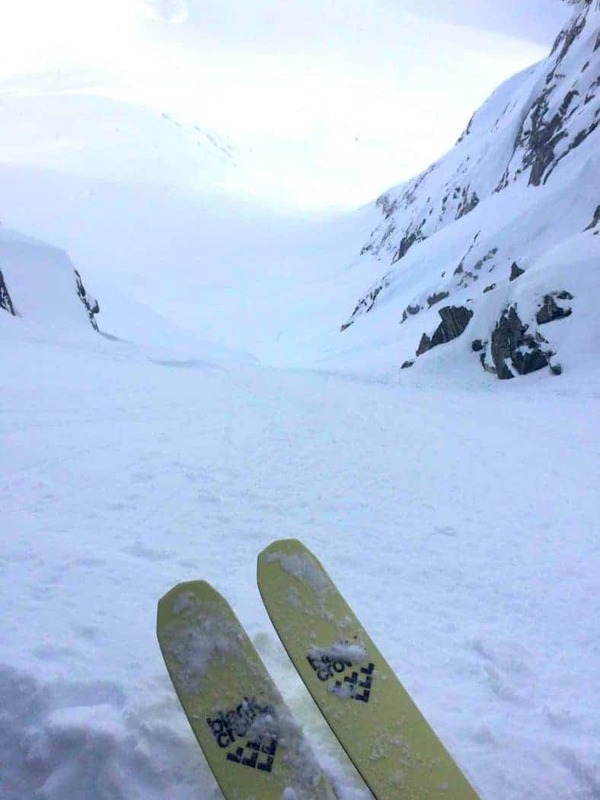 All tracks are fresh, all experiences are genuine, and there are empty peaks for miles around. 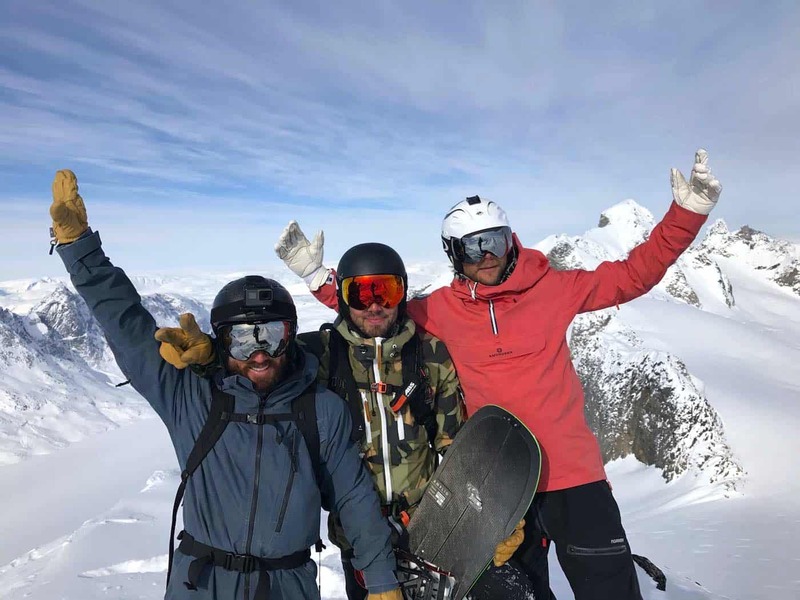 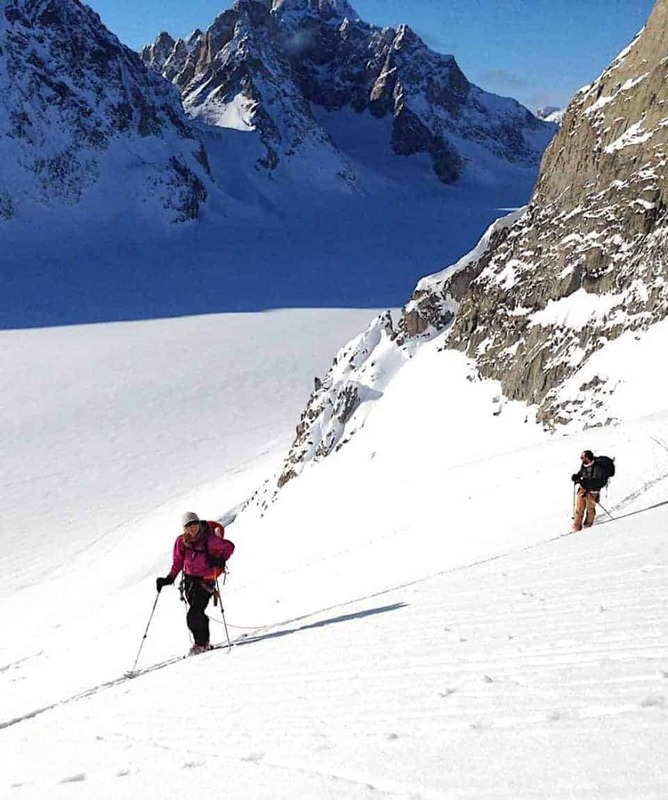 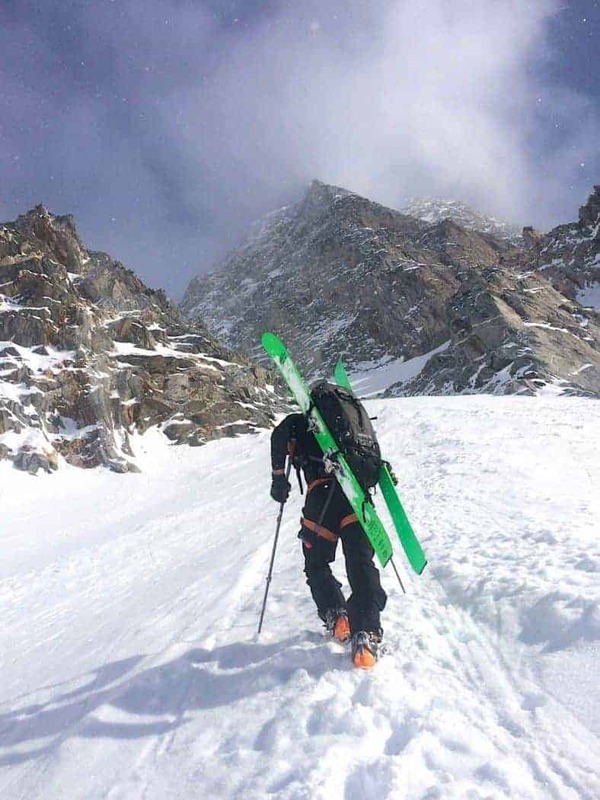 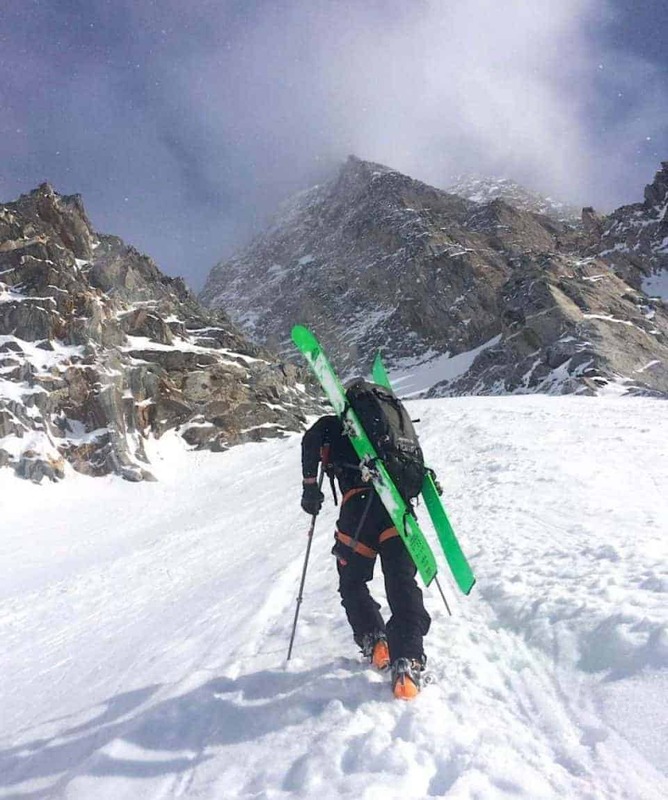 This eight-day Ski Touring Expedition encompasses everything from cultural village experiences to traditional forms of transportation, from couloir skiing to open glacier slopes, from cosy hut living to majestic views of remote mountain ranges that reach down to the ice-filled ocean. 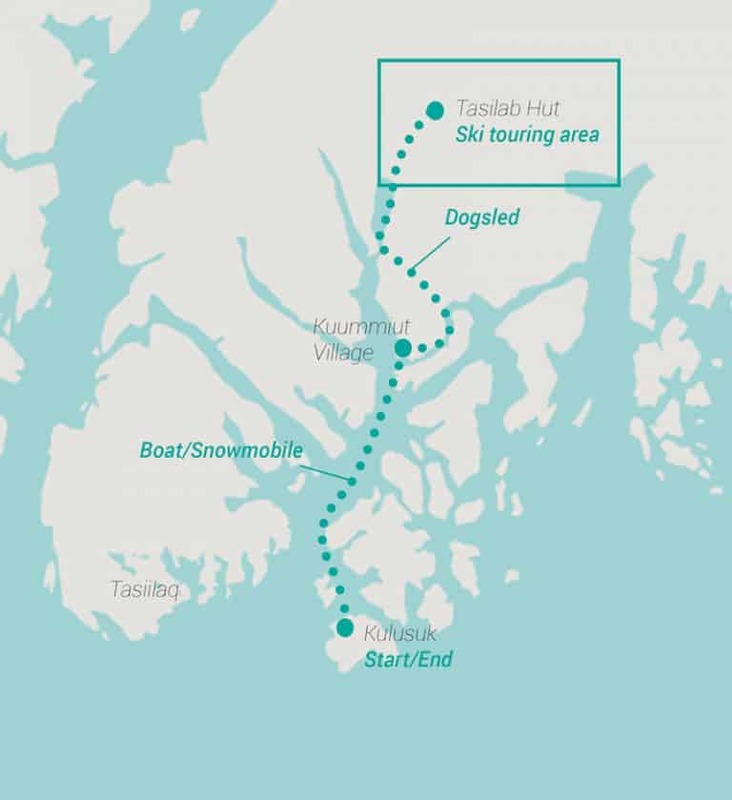 Our Journey of Greenland Ski Touring begins in Kulusuk, the transportation hub of East Greenland where we will use a combination of snowmobiles and boats to get to Kummuit, a remote and traditional East Greenlandic Village. 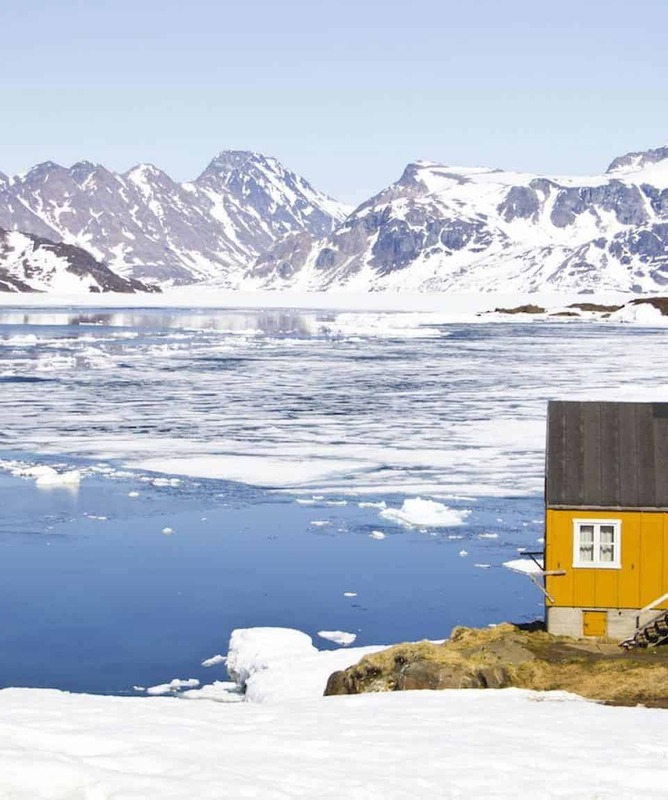 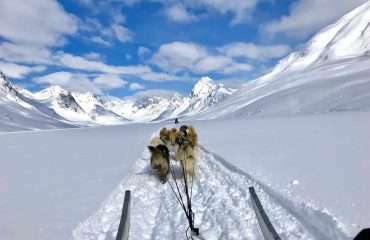 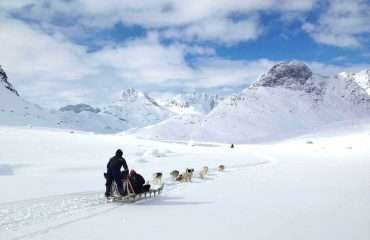 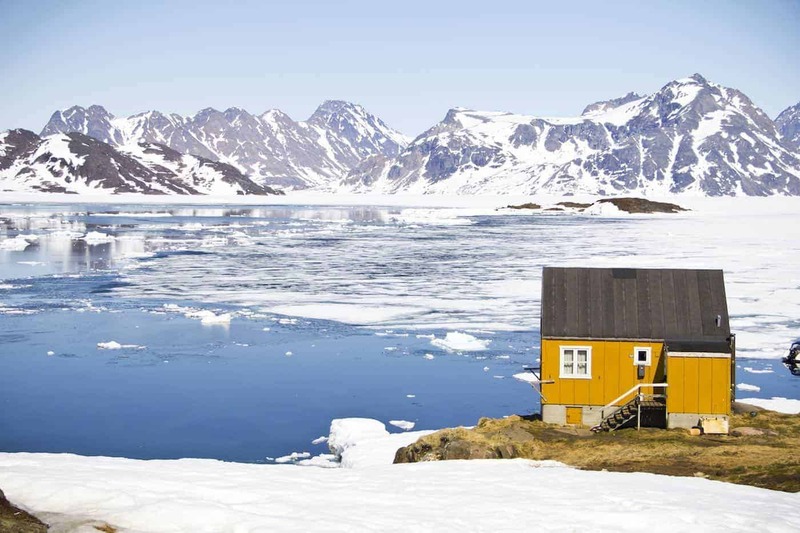 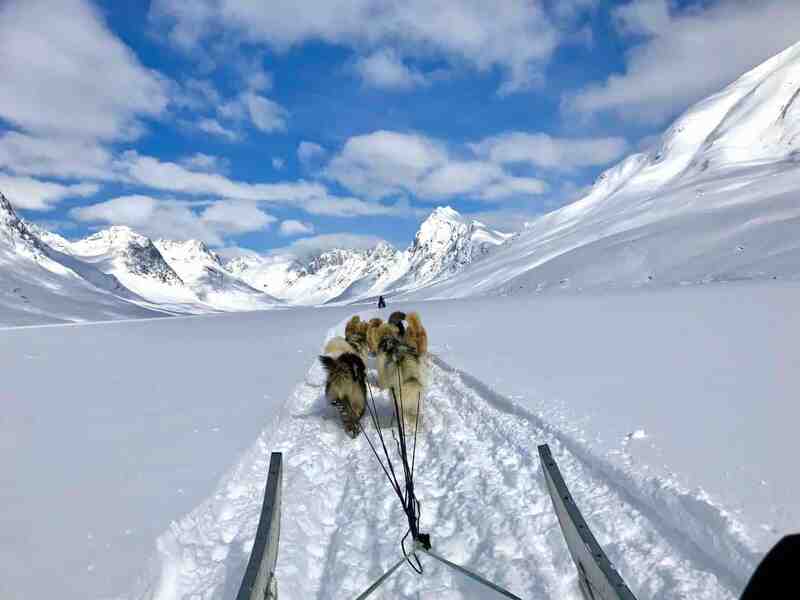 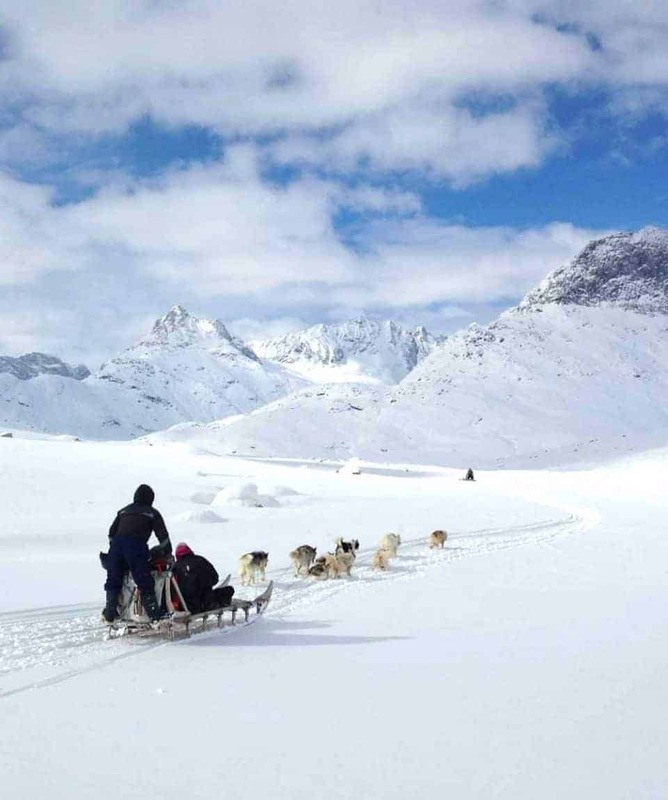 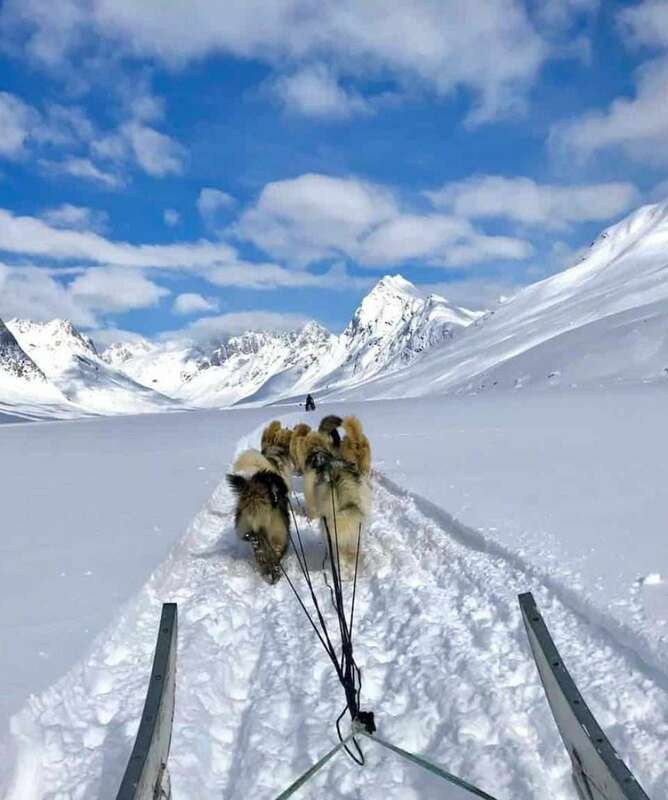 We will spend one night here, repacking and getting sorted for an early morning departure via dogsled, this traditional form of transport will take us into the heart of the Mountains and Glaciers of East Greenland. 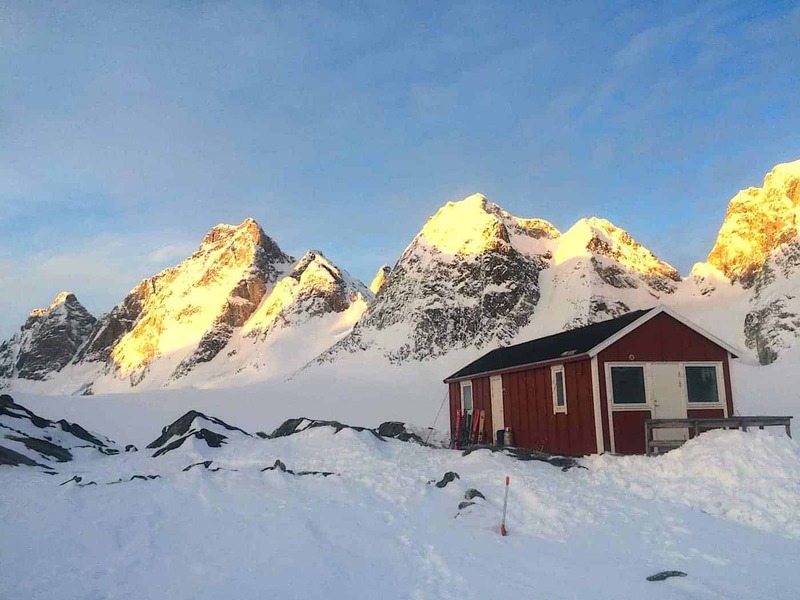 For 6 days we’ll be based out of The Tasillaq hut, which is a basic but fully functional backcountry hut. 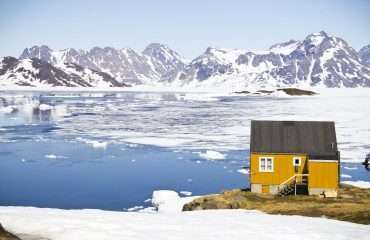 The hut is separated into a sleeping area and common area. 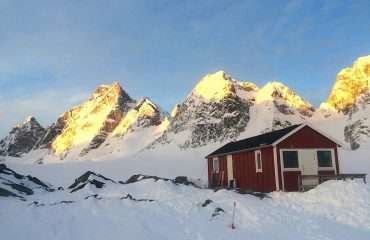 It is heated by a propane stove and we will be warm and dry after long days of our ski touring expedition. 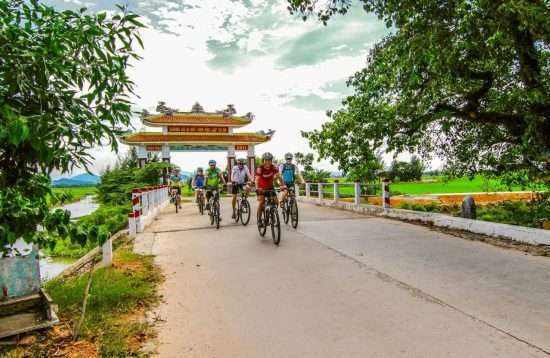 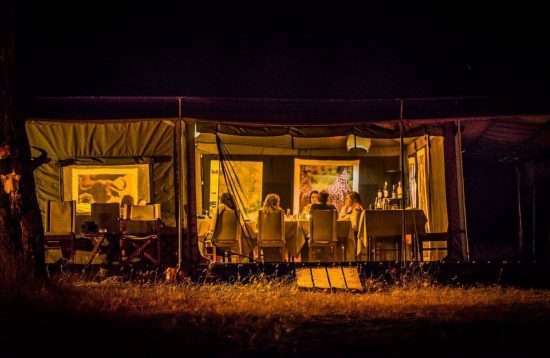 Breakfast, lunch and dinners are provided during the trip and are hearty and will energize us for the activities of each day. 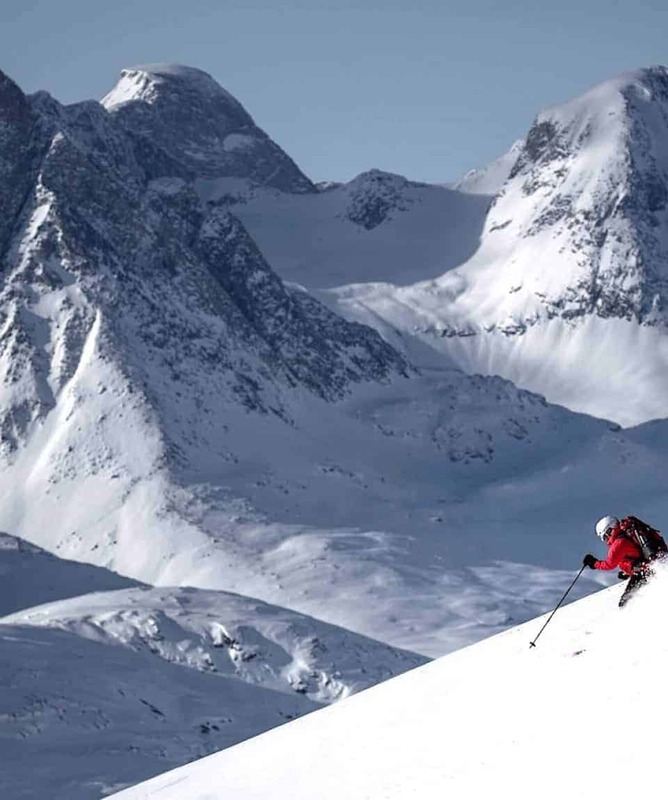 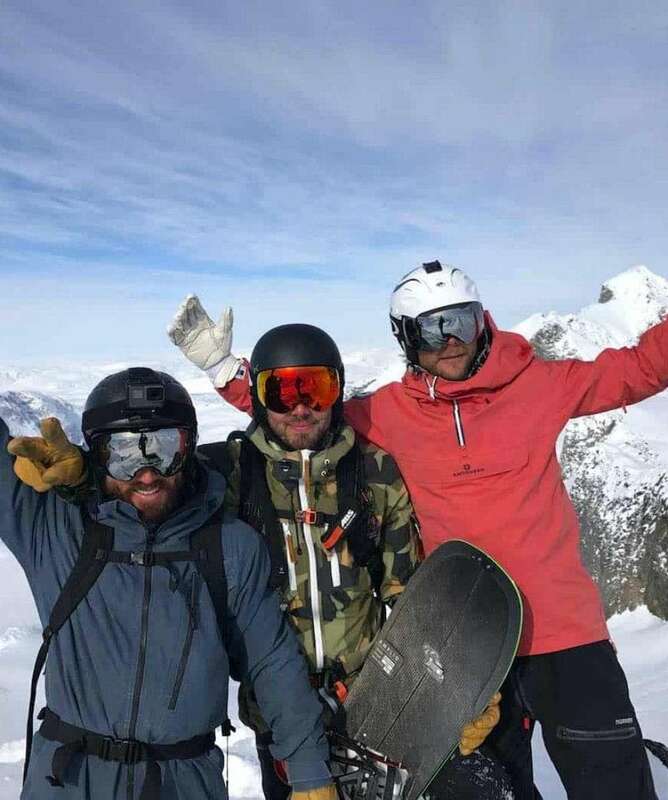 Guide to Client ratio is 1:4 providing a high safety margin and the ability to cater to everyone’s ability and skiing needs. 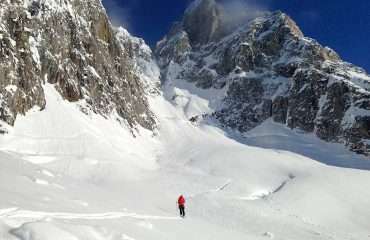 The terrain caters to just about every skiing desire from boot packing up steep couloirs, to open glacier slopes. 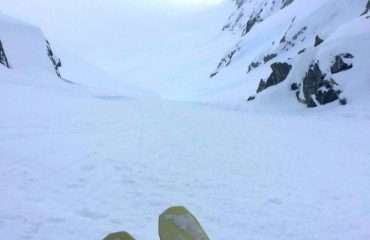 From yo-yo type skiing to big circuit’s, there are many options for each day and any ability level. 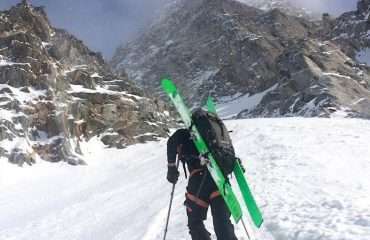 Typical days are anywhere from 1000-2000m vertical. 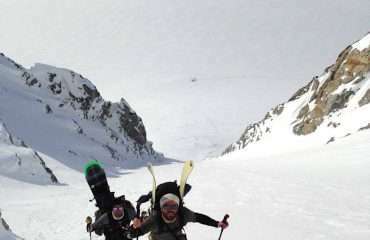 With two guides there are always a few options for each day. 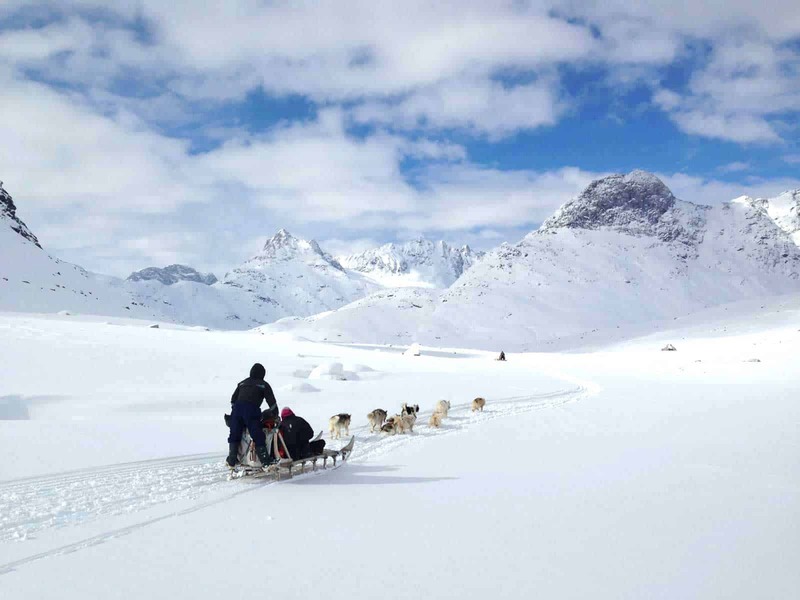 At the end of the trip, we get a helicopter transfer from the hut back to Kulusuk. There we will have our final night in a hotel before flying back to Iceland on day 8. 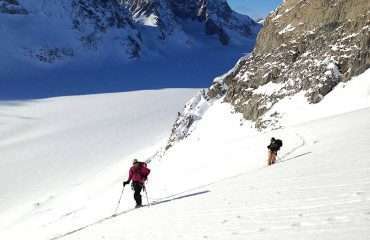 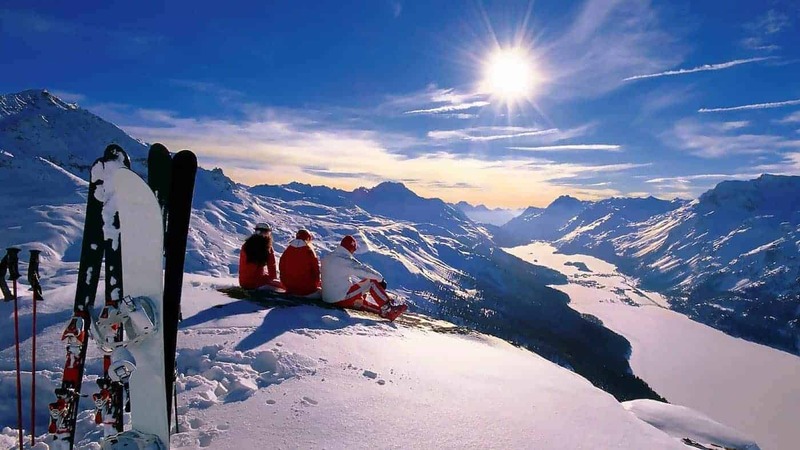 As with any mountain travel, the itinerary may change due to weather and snow conditions. 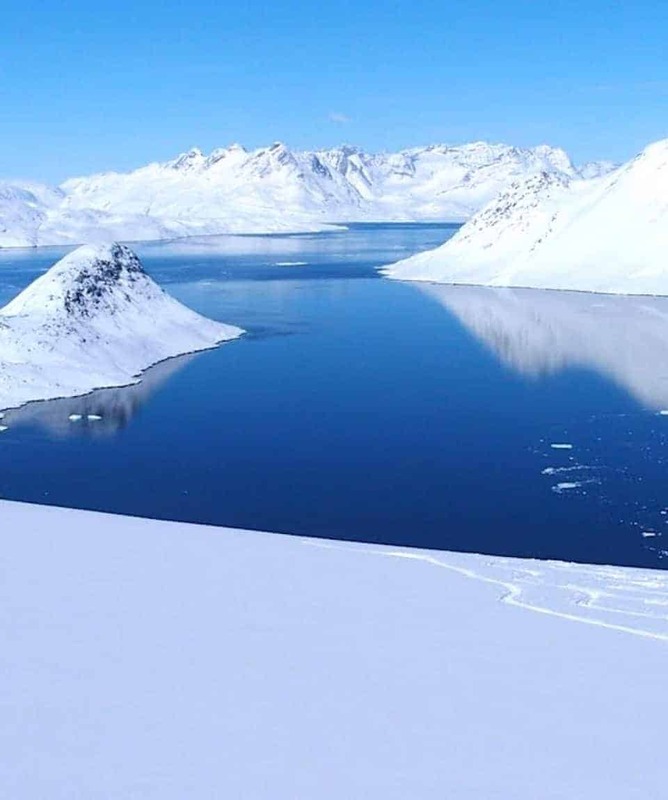 Fly from Reykjavik to Kulusuk. 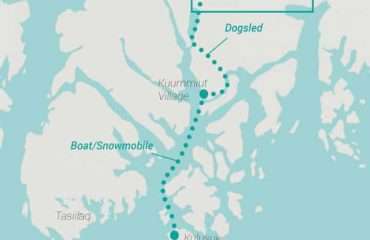 Transfer by boat/snowmobile to Kummiut. 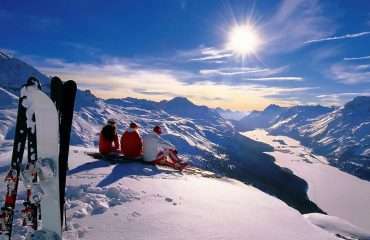 Ski tour in the evening if there’s time.